The issue got blown out of proportion when students of the previous batch of the Saveetha School of Law informed the current students of their inability to register themselves with the BCI because the School of Law wasn’t affiliated under the BCI and their degrees aren’t recognized. ‘Legal Education’ should be primarily imparted to nurture the new and young generation of lawyers in accordance with modern societal needs with top quality training on the applicability of the law. Unfortunately, the present state of legal education in India shows a contrasting picture. The recent unfortunate turn of events at Saveetha School of Law in Chennai starkly highlighted the pressing need of “Quality Legal Education” when more than 300 students had protested before the Law School’s premises demanding the management reasons for non-affiliation of the School of Law under the Bar Council of India (BCI). The issue got blown out of proportion when students of the previous batch of the Saveetha Law School informed the current students of their inability to register themselves with the BCI because the School of Law wasn’t affiliated under the BCI and their degrees aren’t recognized. Though there was no reported violence, the intense protests led to the shutting down of the School of Law forcing all the students in the hostels to vacate by evening. Current students learnt that the Law School’s affiliation to the BCI was only till 2014-2015 and repeated queries on this affiliation issue brought them confusing answers. The Management of the Law School assured the students that everything was well and the Law School would get BCI affiliation in the next few months. But even after two years, the Law School hasn’t been affiliated under the BCI. The students of the Saveetha School of Law are now worried about their future and also the recognition of their law degrees. The protests was also joined and supported by the parents of the students who expressed grave dissatisfaction with the management of the School of Law. Till now, the management has not provided any clarity concerning their Law School’s affiliation to the BCI. The affiliation is not the only reason that the students are protesting but the students also seem to have a long list of complaints against the management. Firstly, the students are unhappy with the new Choice Based Credit System (CBCS) which has shortened their semester from six months to three months which also means that the students have to pay fees twice as often as before. Another complaint the students have is the unnecessarily strict policy of “attendance”. Apparently, the college also refuses to accept medical certificates. On top of this, one of the biggest issues with the Law School is that students were being asked to pay a whopping 15,000 rupees if they chose to reevaluate their papers and are only allowed to apply for reevaluation twice in their five years of study. Additionally, objections were being raised against the installation of CCTV cameras in the classrooms. The School of Law management justified their stance by saying that the UGC and the University allowed them to have CCTV cameras in the classrooms. The students of Saveetha School of Law were also upset on the fact that parents were unnecessarily dragged into this issue with the management advising the student’s parents to back out from the protests. Other complaints included the poor quality of teaching, no standard curriculum and arbitrariness in evaluating answer sheets. Moreover, students also complained that the Law School was pressurizing them to publish papers in Scopus Journal as part of their internal assessment when the cost for publishing a single paper in Scopus is around twenty thousand rupees. THE FUTURE OF INDIAN LEGAL EDUCATION: WHO IS AT STAKE? The Constitution of India was largely made by eminent lawyers of our country at that time. Majority of stalwart lawyers were part of the Constituent Assembly during the drafting of Indian Constitution. But the present system of legal education is perhaps not the best to bring out another generation of extremely distinguished lawyers who can create something of that level. Firstly, our Law Schools are only affiliated with the BCI which carries out regular inspections. Unfortunately, there is no extra credit given to specific Law Schools. No accreditation system is given to Law Schools across the country. This has not been implemented even now though it has been recommended by the 16th Law Commission of India. An accreditation system will generate instant competition and makes the recognition of the best Law Schools visible. The need of the hour is to amend the Advocates Act, 1961 accordingly so as to grant the BCI the power of accreditation. Secondly, the other major concern which arises in this connection is ‘Uniformity’. In the framework of Indian legal education, there exist both 3-year undergraduate degree programmes which run on parallel with the 5-year undergraduate programmes (the only exception is National Law Universities which only have 5-year undergraduate programmes). With more and more Universities adopting the new 5-year undergraduate degrees, the Madras High Court in 2015 recommended abolishing the 3-year undergraduate degree programmes which were also concurred by the Standing Committee on Personnel, Public Grievances, Law and Justice in their 86th report. But this was only on paper and the practical scenario still continues with the running of 3-year undergraduate degrees, part-time law degrees and law correspondence degrees. The only way to overcome this problem is to bring in Uniformity and Standardization to effectively restrict discrepancies prevailing in the legal education system. Thirdly, Teachers are the major driving force for the success of any institution. In India, the deficiency is that full-time law teachers who teach for more than three hours are NOT allowed to practice law and are also not allowed to take the higher Judicial Service exams. This obviously makes the teaching too abstract and theoretical. Law is a dynamic area where it can be effectively learned only through its practical application. Rote learning of statutes and legislation will kill the creative applicability and legal reasoning. The Advocates Act, 1961 should give more autonomy to law teachers who can practice and share their practical insights to students by employing more scholarly approaches towards legal teaching. 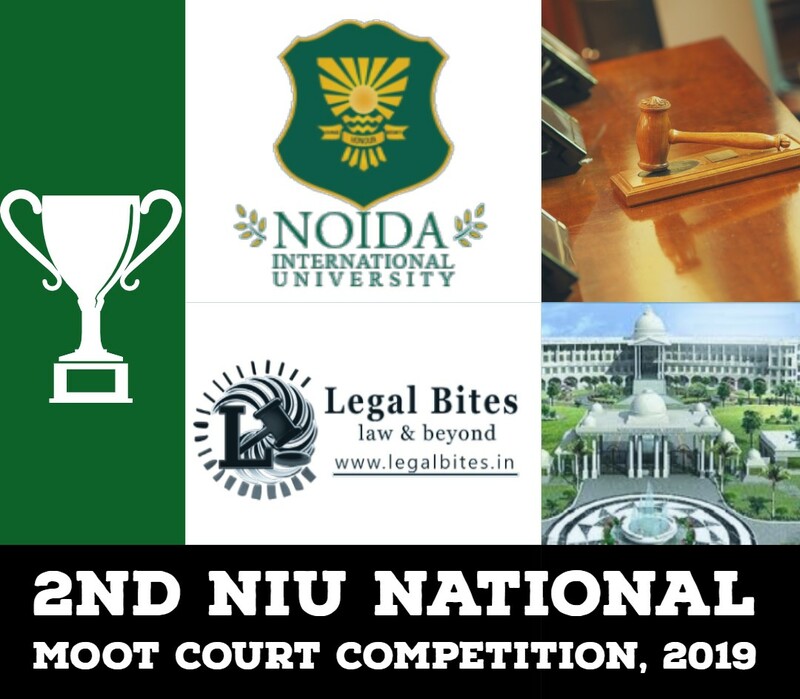 The much coveted National Law Universities (NLUs) have proved to be a saving grace in improving legal standards with the setting up of National Law School of India University, Bangalore (NLSIU) in 1988 under the aegis of Mr. Madhava Menon. Though the success of NLSIU inspired the starting of other NLUs in other parts of India, the quality and training that is being imparted in these NLUs have come under close scrutiny by various agencies and organizations. NLUs are State Universities formed under a Statute passed by the respective state legislature. This means that they rely on the University Grants Commission (UGC) and their home state for funds. This funding is often very erratic and largely depends on the realization of the importance of NLUs by individual states. Some states such as Delhi and Gujarat generously fund their NLUs but most other states are not so kind. As a result of severe shortages of funds, the fees of these NLUs skyrockets as the revenue generated from these fees act as the prime source of meeting the budgetary deficit. Sometimes, NLUs aren’t able to attract quality faculty due to non-lucrative pay packages proving disastrous to the quality of legal teaching. The only way to remedy these state of affairs is to declare NLUs and other distinguished centers of legal teaching as “Institutes of National Importance” [INI] on par with IITs, IIMs, NITs, IIITs which get their funding from Central Government as part of the Ministry of Human Resources Development’s budget for Higher Education. 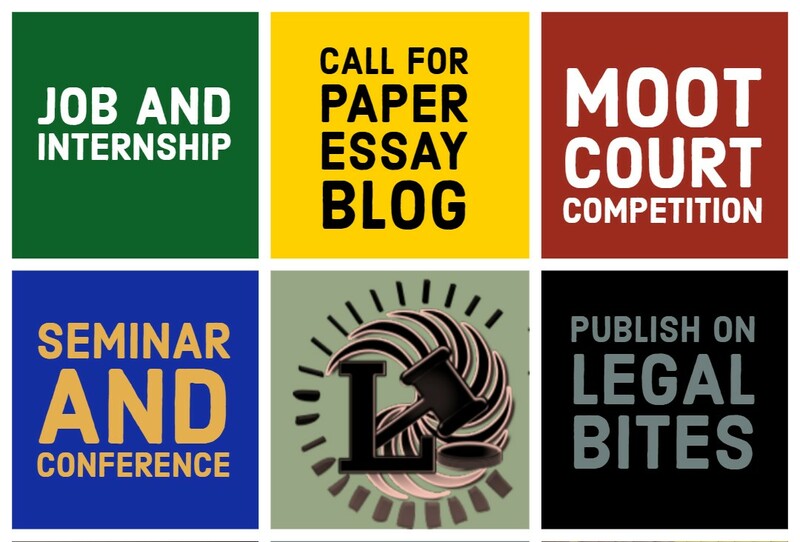 THE DAY WHEN INDIA’S LEGAL INSTITUTES RIVAL HARVARD, OXFORD OR CAMBRIDGE……. India is the youngest developing nation in the world and a new emerging world economy. It has made rapid strides in development from post-independence to the modern 21st century but a plethora of factors still hold back its competency in the international community. One of the factors is Education and when it specifically comes to legal education, we are nowhere in comparison to established world class leading institutions. Our legal education system has been primarily suffering from three major setbacks: Inability to attract talented and qualified legal faculty, Poor infrastructure and poor funding to Law Schools (with some exceptions) and outdated curriculum and syllabus. Modernization is the need of the hour. The modern legal atmosphere demands theoretical knowledge of law plus more emphasis on industrial training and applicability of the law in rigid situations. Our curriculum and syllabus are structured in such a way that most of the Law Schools are turning a blind eye to the fast changing legal trends. Policies such as attendance and external examinations should be done away with. Best teaching minds and established academicians automatically attract students to classes. The curricula should be constantly updated keeping in mind the latest changes in all aspects of law. Autonomy of framing syllabus should be given to experts and persons qualified in a particular field of law. Fieldwork should be given more preference which stimulates innovative legal reasoning and practical understanding of the law. No top legal institution in India ranks in the top 200 of global rankings. The Indian Government should take immediate steps to establish and fund independent research organizations which constantly conduct research on higher education Universities and submit periodic reports to the Government. These reports should be made public so that candidates aspiring a career in law can choose the right university based on authentic government reports. For instance, Red Brick is an independent research organization which conducts research on higher education institutions in the UK and submits reports to the UK Government. In order to realize that day when our legal institutions will be ranked on par with Harvard or Oxford, emphasis has to be laid on research with the support of more funding from the Indian Government which can boost the quality of legal education and associated works in the field of law. Enactment of a separate Central legislation for monitoring and regulating the affairs of higher education universities of law in India. Implementation proves to be one of the major backlogs for any successful development in India. I also strongly feel that politics should be strictly kept out of the domain of education and encourage our “armed chair bureaucrats” to inspect the field and implement policies according to the prevailing situations and requirements. Agreed that India has taken baby steps for a bright future in legal education, but these baby steps shouldn’t abruptly fail without achieving its intended goal. Though the Indian legal education is entering an exciting phase in the modern era, I look forward to that day when Oxford or Harvard would name their buildings or structures drawing inspiration from Indian legal institutes and not the vice-versa.